AND SUMMER MEETING '09 14 - 16 th of august PROGRAM ONLINE! Post subject: Re: AND SUMMER MEETING '09 14 - 16 th of august PROGRAM ONLINE! Is there anyone who has to be picked up from the trainstation friday? Not me, thank you, I will come by car. AND SuMMer HERE WE COME !! 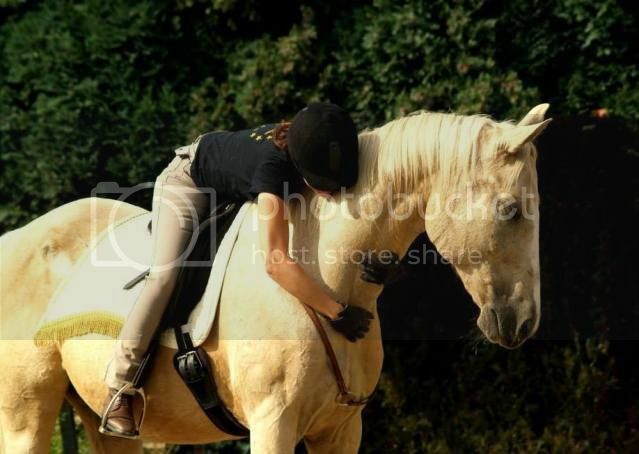 but also a bit sad story, today my horse was lame, could not find anything stranges so called the vet. as i thought already a hoof abces.....poor horse lots of pain....the hoofbaths are starting all over again. Can't believe it's Friday already! Time is running and it seems we were having ways too much fun here at Josepha's these last two days (a more detailed report will follow later). I am so very much looking forward to meeting you all today and over the weekend. Bianca, shall we bring anything, some more groceries or something else? Looking soooo much forward to see you!!! At what time are you guys going to be here? Looking forward to it!!! See you soon! I'll have you know the famous Romy has been here with us for two days! can't wait to hug you silly! If all goes well (still have a doctors appointment at 11.30 and need to feed/water the horses afterwards), I expect to leave around 4.30pm or so. Should take me about an hour to get there. But give or take 2 academic 1/4, knowing myself I am not very clock-tight. John Grady is going to come too this evening!! !